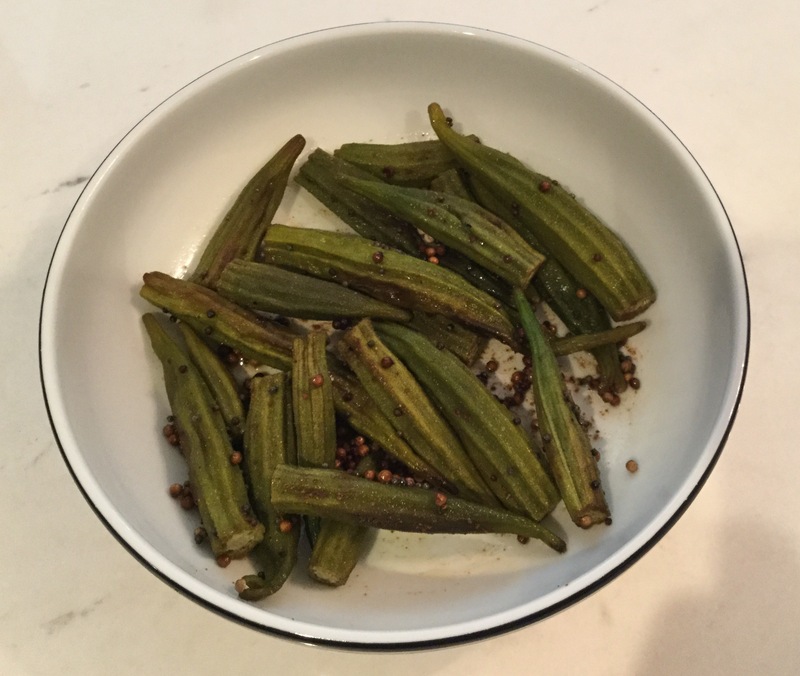 I needed to use up a bag of okra from the garden and decided to try an Indian-inspired version. This is a nice way to dress up the okra. I love the flavor of toasted black mustard seeds and whole coriander seeds and they marry beautifully in this dish. Preheat oven to 400 degrees. Pour oil into a baking sheet. Spoon coriander and mustard seeds into the oil. Place baking sheet in the oven and let the seeds toast in the oil until fragrant and mustard seeds begin to pop. This will take 5-7 minutes. Remove pan from the oven and add the okra to the pan. Toss okra into the oil, coating it well. Sprinkle the okra lightly with salt, pepper, ground coriander, paprika, and cayenne pepper. Toss well. Roast for 20-25 minutes until the okra is browned and fork tender. Stir occasionally while roasting. Serves 4. This entry was posted in Vegetables, Vegetarian. Bookmark the permalink.